As we draw nearer to the Fourth Week of Advent, we hear again from John, the forerunner of Jesus. 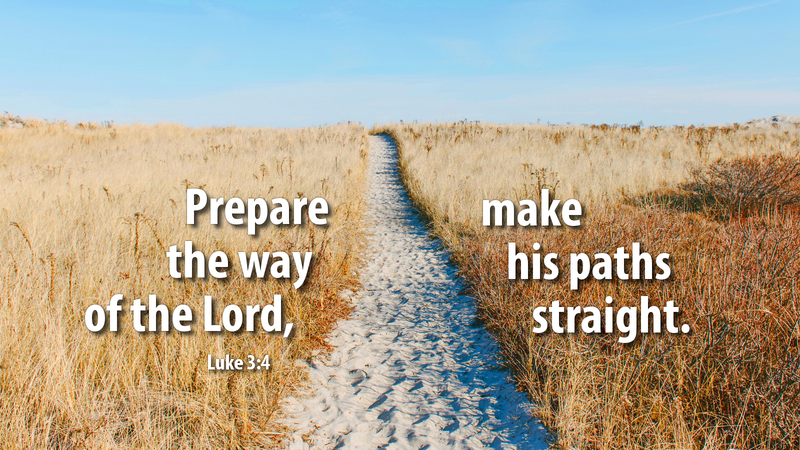 He is calling us, today, to prepare the way of the Lord, removing every barrier and impediment to Christ’s coming. And why this monumental feat of civil engineering? The goal is that “all flesh shall see the salvation of God.” We are “universalists” in the sense that God desires that all shall be saved, and so do we. Hopefully, we pray for that as well. As we heard yesterday, the Lord God desires that none should perish, eternally. That should be our hope also. But how are people saved? By Christ and only Christ! Christ is coming, but his road to many is filled with potholes, ruts, mountains and hills. John calls us to do whatever we can to level out and smooth down the path for His coming. Certainly, the voice in the wilderness was crying out for Israel to prepare for Christ’s coming at Bethlehem, but his cry echoes through the centuries to you and me, as well! What can we do to prepare the way for Christ’s coming, to those who live in darkness and sin? How can we speed the Lord on His way? What does it mean for you and me to make His paths straight, fill the valleys, smooth out the rough ways—that all flesh shall see the salvation of our God? Prayer: Lord God, as we, too, desire that all flesh shall see salvation, show us how to prepare the way of the Lord, in our day. Amen. Advent Action: Is there a messy or cluttered area in your home or church? Take time this week before Christmas to straighten things out, clean things up, and live out John’s call to prepare the way of the Lord.